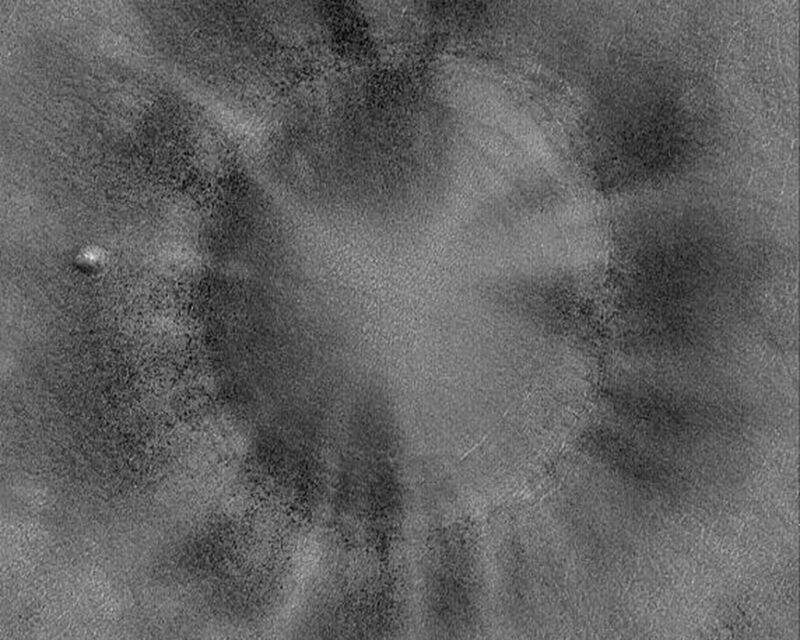 This This Mars Global Surveyor (MGS) Mars Orbiter Camera (MOC) image shows a bowl-shaped crater on the martian northern plains with a mysterious radiant pattern of zones with and without boulders and rocks. 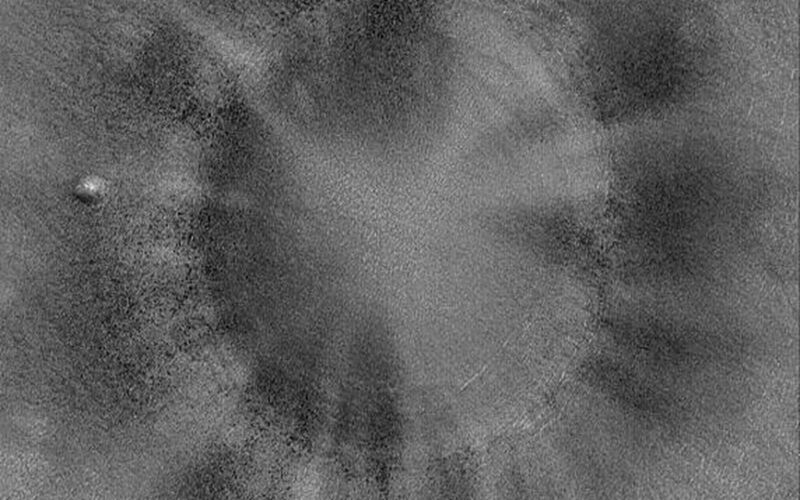 The rocky areas are seen as dark dots, the rock-free areas lack these spots. Craters like this are fairly common on the northern plains; some also occur at a similar latitudes in the southern hemisphere. 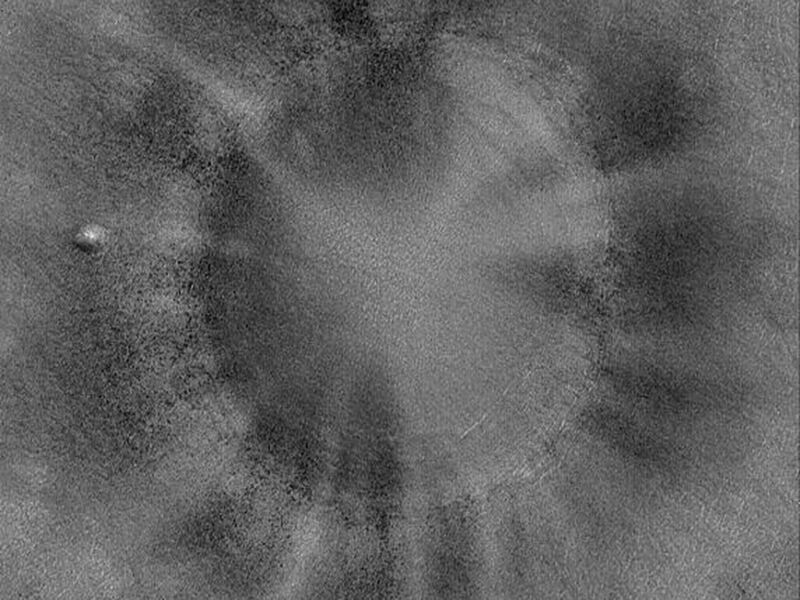 When the Mars Odyssey Thermal Emission Imaging System (THEMIS) team first saw these, earlier this decade, they called them"pinwheel craters" (see PIA05611). The exact cause of the boulder and streak distribution is uncertain.